Meet the Smooshy Mushy squad in this official handbook that contains fun facts about all the latest collectible characters, plus an awesome poster! Discover why the sweet-scented and oh, so squishy Smooshy Mushys are the hottest collectibles around! Welcome to Smooshyville, where the pets have mischief on their minds! When the town goes to sleep, the animal residents of the local pet shelter sneak out and meet up with their besties from Smooshy Mushy Industries. From donuts to pancakes to French fries, the Smooshies' fabulous and foodilicious besties are always ready to share a smile or an adventure. 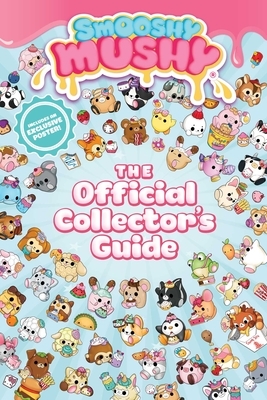 In this 100% official guide, get to know each and every Smooshy Pet from series 1-5 along with hilarious fun facts! Plus, use the collector's checklist to mark each character you find. An exclusive, must-have collector's poster adds to the fun! With hundreds of Smooshy Mushy characters bursting with sweetness, which ones will capture your heart?